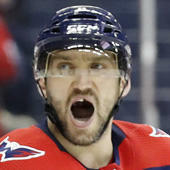 Beagle scored his second goal of the season in a 5-1 win over the Panthers on Sunday. The empty-net goal compounded what was a tough game for the visiting Panthers. With just six points in 23 games, Beagle is not worth much fantasy consideration. The two points were the veteran's first since Dec. 27.